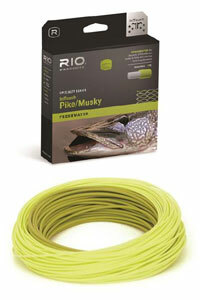 Specialist Fly Lines: Rio Outbound, Outbound Short in Floating, Intermediate Tip, Hover, Full Intemediate and Sinking Lines, Rio Pike and Musky Lines, Ultrafast Sink and Versitip Flylines. 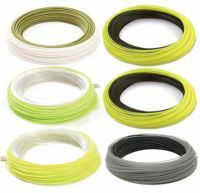 Where available, we endeavour to stock the full range of these flylines in our shop in the UK. THE INTOUCH BIG NASTY FLOATING LINE is designed specifically to cast large and heavy flies with exceptional ease. The line features a short, powerful front taper that has no problem casting weighted streamers and large terrestrial patterns, and is heavier than the industry standard to load modern rods quickly. 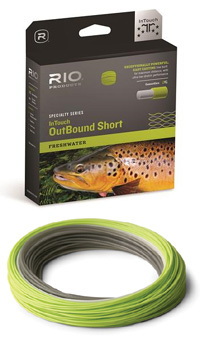 The line is built on RIOs ultra-low stretch ConnectCore for the minimum of stretch and the maximum in performance, and features RIOs XS and AgentX technologies, as well as welded loops on both ends. 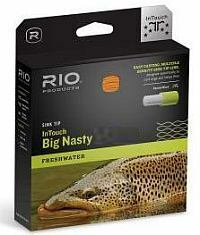 DESIGNED FOR SLOWER ACTION RODS; especially bamboo, glass and 'classic' action graphite rods.  Short front taper and weight distribution makes it ideal for creeks. 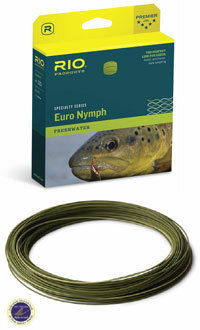  Perfect for bamboo, glass and softer graphite fly rods.  MaxFloat Tip and MaxCast technologies for the very best in performance. 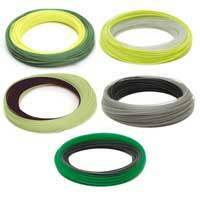  Extra-supple coating for minimal coiling and relaxed performance. 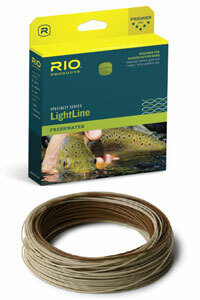 RIOs LightLine has been designed to load slower, more traditional action fly rods such as bamboo, glass and the more Classic flexing graphite rods. Built to precisely match the industry line standards, this line will not overload such rods  even at longer range. The weight distribution and short front taper ensures the line loads at close range, making it ideal for fishing on smaller creeks and streams, while the softer, supple coating ensures the line remains relaxed and easy to handle in the majority of conditions.